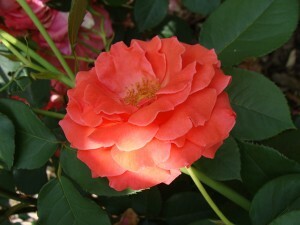 I want roses to be hardy enough for Ohio winters, and to fill a summer garden with their fragrance. I've grown many roses, but only a few stand up to the difficult tests of a rural garden in Ohio. I took a walk in the garden yesterday and shot some photos in the Instagram app. Most of my peonies are on the wane, but caught a pic or two of them along with some old roses. Finally. Cold weather disappeared and things are blooming. I cut these roses down to the ground last fall due to dieback. They are sprouting up and blooming. Rugosa roses are usually very resistant to rose ailments. Except for being a bit chlorotic due to the uneven moisture levels this year, they are doing well. I expect that they will reach their 5-6 foot height by the end of summer. That one flower has perfumed that part of the garden. 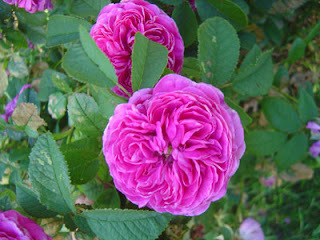 I am going to make cuttings and try to start new plants of this lovely old rose. These roses are a bit earlier than many others. I like the colors of this one. 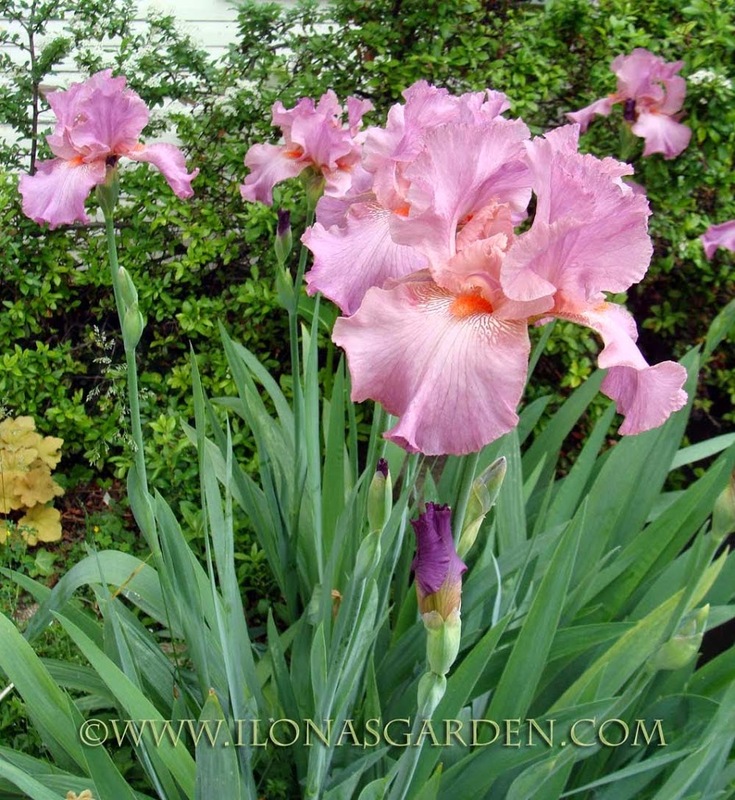 It is one of a few remaining German irises that I still grow. I don’t take care of them very well. But this one is frilly and has unusual color that blends nicely with other plants of mine. I saw some German Irises growing in town that made me have second thoughts about them. A very striking stand of strong bicolor purple flowers on either side of a driveway entry. They stood alone, with no competing colors or flowers. It was very effective, and I think that is how I like them used the best. 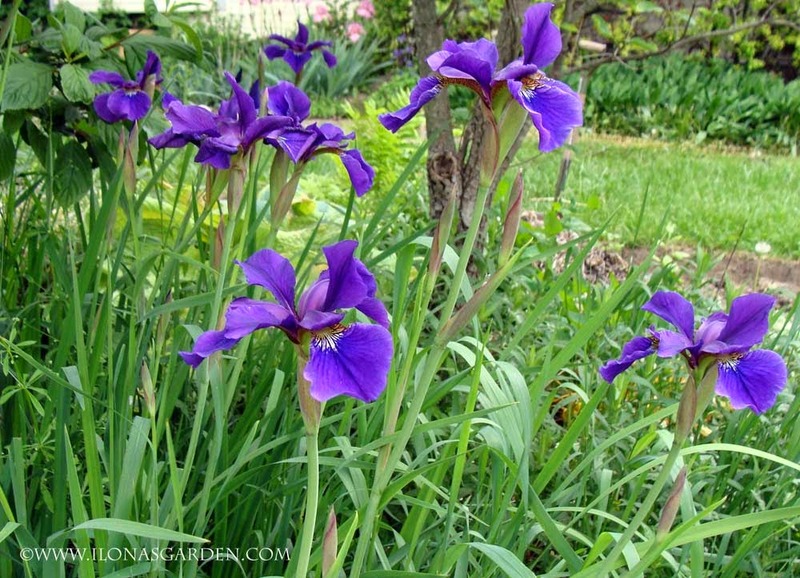 I prefer the delicacy and easier care of Siberian iris. They are also coming into bloom now. I think this one is Caesar’s Brother- or was supposed to have been. 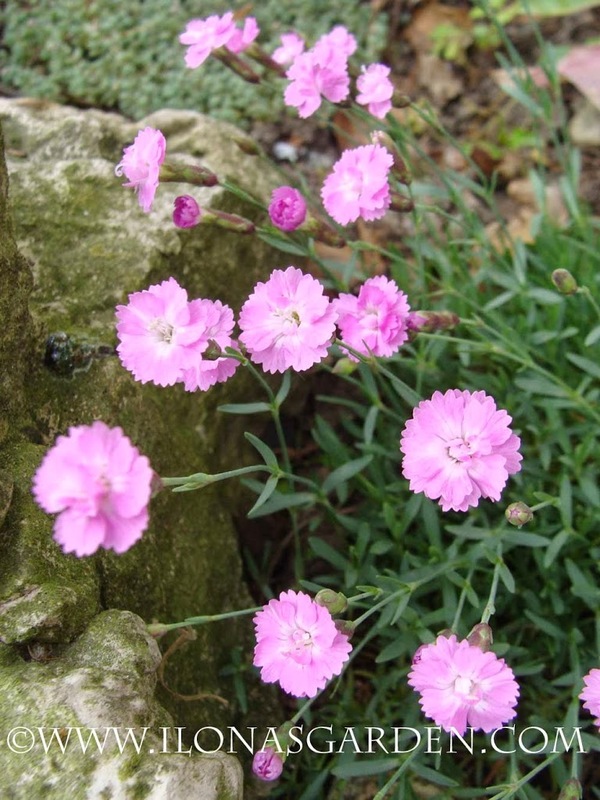 I just planted these pinks last year and they are just blooming for the first time. I was sort of surprised since I had forgotten about them – and there they were! These are really cute, diminutive blooms. They would be right at home in a Fairy Garden. This single herbaceous peony is the earliest of my peonies to open, although they all have flower buds. It is in a part of the garden that I let go a bit wild, as opposed to the parts that get wild without my permission. 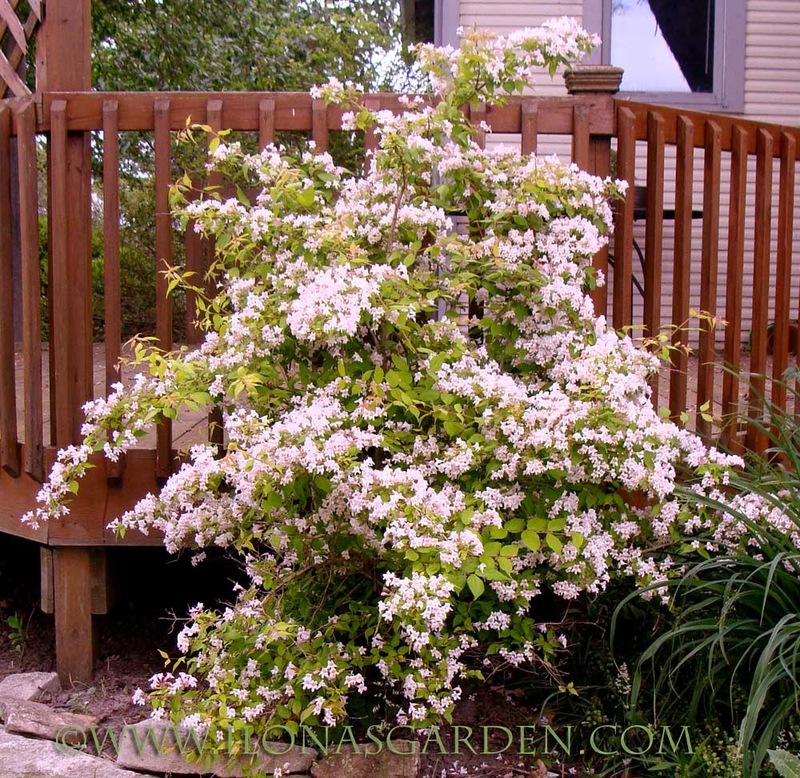 Its color is very pleasing from a distance, and I look at it after my eye has glanced over the Beauty bush and the variegated Weigela, which bloom at the same time in the back yard. Here is the Dream Catcher Beauty Bush that is finally growing to size and blooming as advertised. It is in the shade of a very tall highly pruned (by ice storms and one paid professional) Silver Maple. I’m very happy with it. Its golden foliage is not as sharply colored as the one I located in full sun in the front yard, but it grows better with a bit of shade. Well, I have a few more things, some of which are over or just starting. Shasta Doublefile Viburnum is almost over and the Fringe trees, while fragrant, are losing their petals. Columbines popped up everywhere, now slightly past their prime, and the lily of the valley is about over. I’ve worked really hard in the garden, but it still needs so much more weeding, trimming, and quite a few other tasks. To leave on a happy note (the whole post is happy, but this is what really made my day) : the Sweet Gum trees that I thought were goners have showed new growth. Perhaps the very late hard frosts had killed back the new growth on those trees and they were just slow to recover. I hope thye make it through the summer- then we will be home free. Also, I cut the Lonicera fragrantissima down to the ground (actually my husband used the chainsaw to cut it down for me), Now it is responding with new growth. 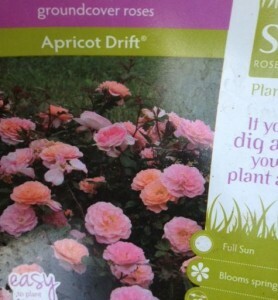 Where Should I Plant This Rose? I know many of you have done this, too, so I don’t feel quite so guilty. So many times I know better, but I can’t resist nature, not of plants or my own at times. We are past the season of planting roses… the heat of summer is coming, but a beautiful rose plant was on sale. 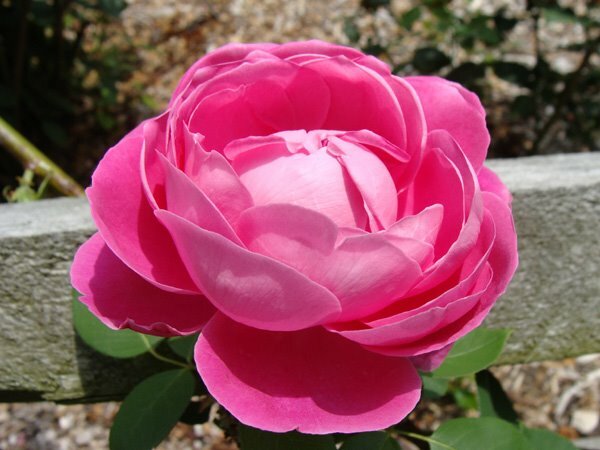 Forget the fact that you have no real place prepared for it, or even a vague idea of where to put it, it was a beautiful fragrant rose, and it says that it is hardy to zone 4. Of course, that guarantees nothing, but the idea that this lovely thing just might survive the winters, just might perfume the garden in years to come, is all but too much to resist. So I didn’t resist. I bought it, and now it sits with the other spontaneous temptations that I gave into this week. I just hope I don’t do penance trying to keep these things alive if the weather turns dry this year. 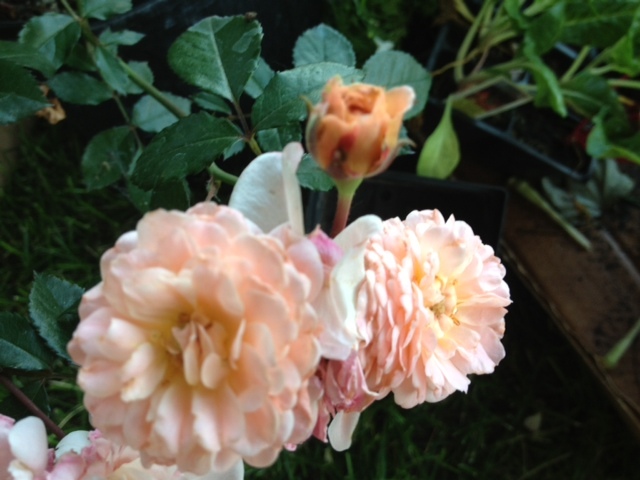 And the roses are such a pretty shade of pinky apricot… and they smell so heavenly. A bit worse for wear due to not being yet planted, etc. It promises to look like this! How do we plant roses at this time? Be sure to align the plant at the same depth of soil as it grew in the pot. Like other shrubs, I like to add some amendments to the soil: some compost, peat if the clay is very dense. Water it in well with initially “mudding it”, and thereafter just making sure the plant doesn’t dry out before the roots are established. Good drainage is needed, so don’t keep mudding it. Don’t fertilize, unless you use something mild like transplant fertilizer and don’t fertilize after midsummer date in July. 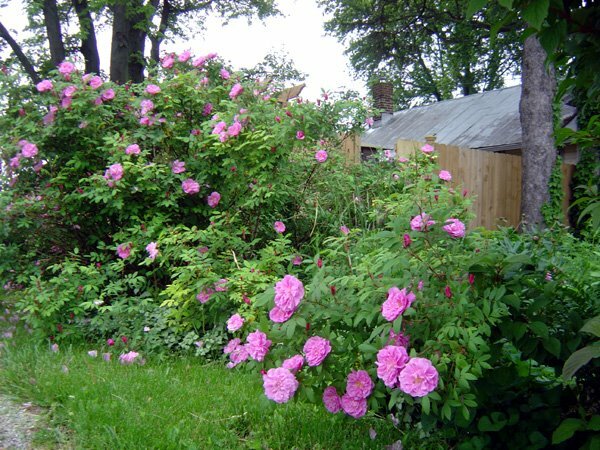 Give the rose bush time to get ready for winter. 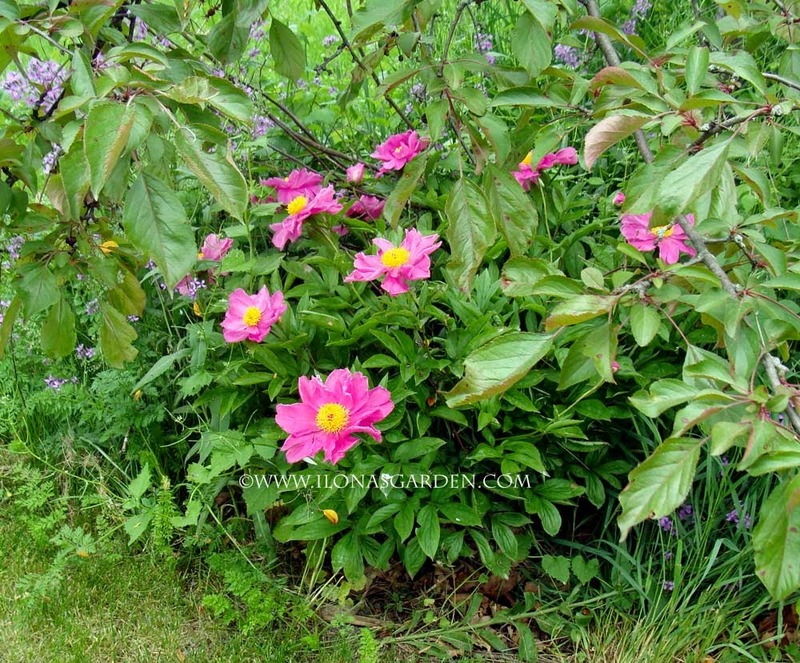 It needs to “harden up” which it won’t do if lushly growing from lots of extra fertilizing. I can’t wait until I get to smell the roses again. Paul Neyron, is an old fashioned rose. But nobody tells you that after heat, heavy rains, and the rest of the roses bloomtime being just about over and this guy is looking perfect and fresh as any super suave gentleman might. 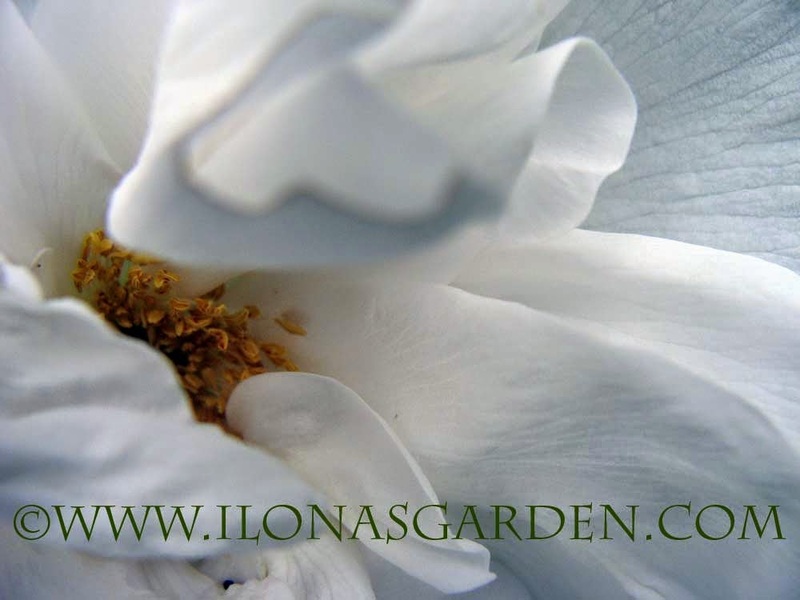 A real stand out in a garden filled with literally hundreds of rose varieties. 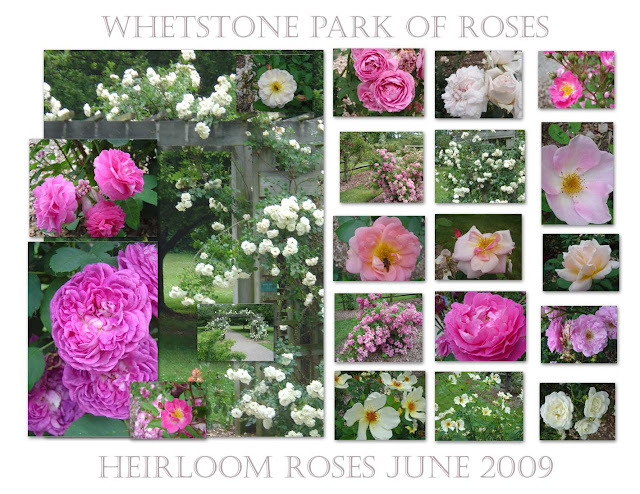 “– The photo shows a lovely rose, a rosebush, a cluster of roses, or a bouquet. – The subject is enhanced by the way light shines on or through it, and/or casts intriguing shadows. Oops, forgot the name- but like the way the light hit it. 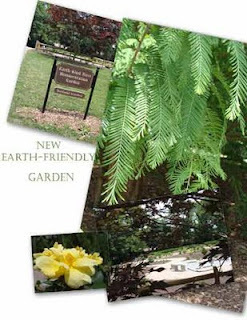 This park is included in my top 10 garden destinations for the Central Ohio area with good reason. Why? Take a look at the collages and let me tell you the story. My parents took me to this park when I was a little child more than fifty years ago now, and in a way, we have grown up together. The formal opening of the Columbus Park of Roses was in June, 1953. The park seemed to have a role in many of my personal landmarks through the years. The parking lot is located below the park and is hidden from sight, two grand wide stairways lead you up to the recreation building, which often holds parties and in my teens was the spot for summertime dances. I listened to the local garage bands of the day and did my fair share of flirting. It was the mid sixties, just as the social upheavals of the times were simmering. The one story building had large doors opening onto open verandas – it was the perfect place for dancing under the summer evening sky; and those nights were an oasis of peace and love in a hot summer adolescence. Circling to the left you will find what was once the daffodil display garden back in the ’90’s and is now the “Earth Kind Rose Demonstration Garden”. I noticed that they still have beds of daffodils with their markers surrounding the new rose beds. Past the long “boulevard” beds, which once held a long display of all miniature roses and is now filled with a summer display of annuals , foliage plants and grasses, is the perennial garden. 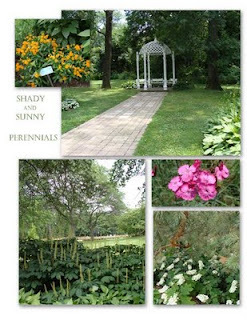 On the right, the sunny circle with bright garden perennials center around an armillary sundial ; nearby it holds a small, quaintly Victorian iron gazebo within the shade portion. 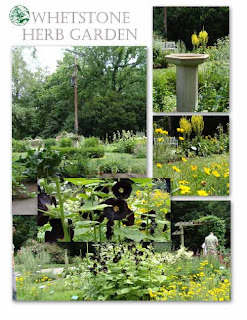 These areas have been now planted to minimize care, I see, reflecting the general sagging interest in complicated gardening (such as English manner perennial gardens). The gazebo is a pleasant place to sit and have quiet conversations- as well as a perfect photo background. Meandering back to the main entry path one travels just a bit to the herb garden. If I recall correctly this garden started sometime in the late seventies or eighties as an herb garden. 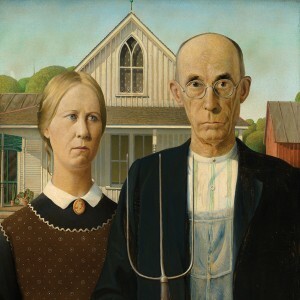 It was about on par with the rising interest in homesteading and all the herbal fervor that accompanied the general interest in “getting back to the land”. 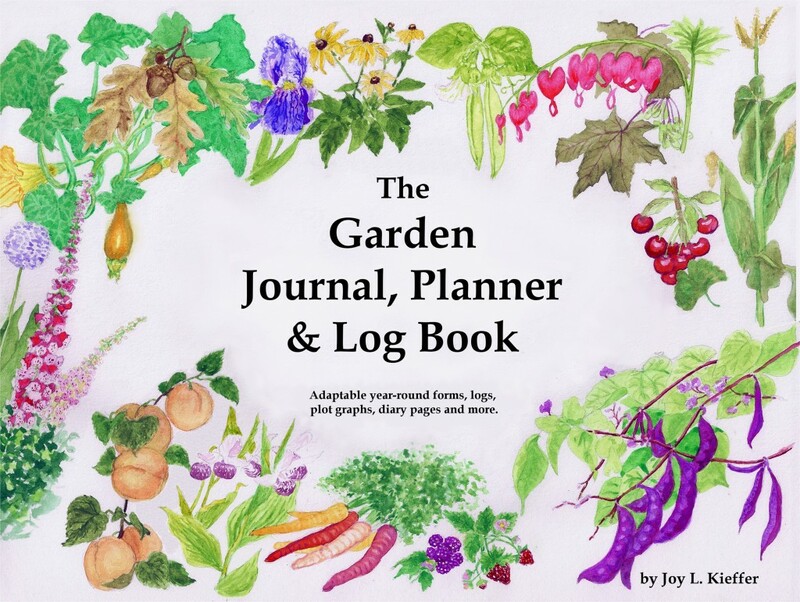 In the seventies I was beginning my family, living on a shoestring, and had begun my interest in plants via a jungle of houseplants and a nascent vegetable garden. 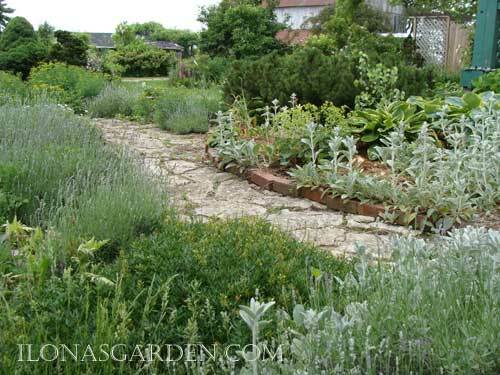 At first it was true to its herb garden roots, but as you can see in the pictures the increase of more ornamental and colorful plantings has slowly wedged itself in. The newest addition to the design is an artistically simple water basin. Located directly at the end of the axis centered by a large fountain , one begins to see the expanse of roses from the herb garden path which loops back into the main avenue of the landscape. Once the pathway turns toward the fountain one comes upon the vast array of roses, of all colors in a grand promenade to the top of the rise. At its pinnacle is an ironwork viewing tower, which upon climbing gives an inspiring overview of the roses en masse. 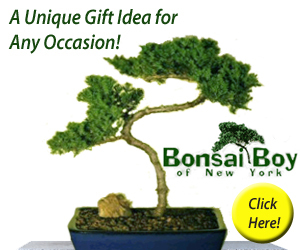 Along all sides are large deciduous trees and handsome evergreens, enclosing the garden from any thoughts of the city or surrounding neighborhoods. 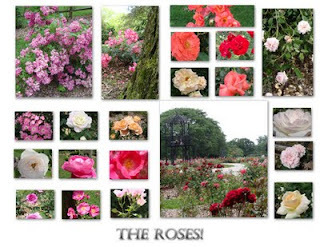 The last part of the park is reserved for the garden of heritage roses , blooming earlier, and over sooner than the rest of their hybrid progeny in the main portion of the park. 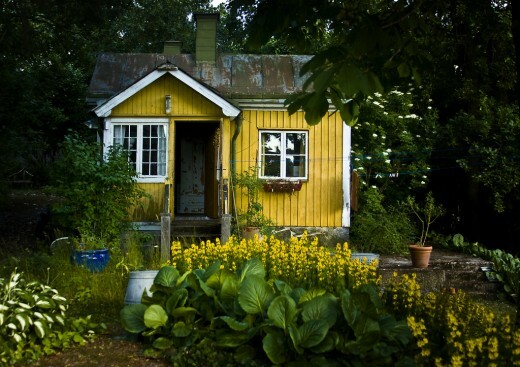 I love the intimacy of this part of the garden, and like all good gardens it has a number of places of repose. Begun in the eighties, when antique roses waxed more popular in the garden world and tastes. This was the time when I was in my heyday of gardening, too. 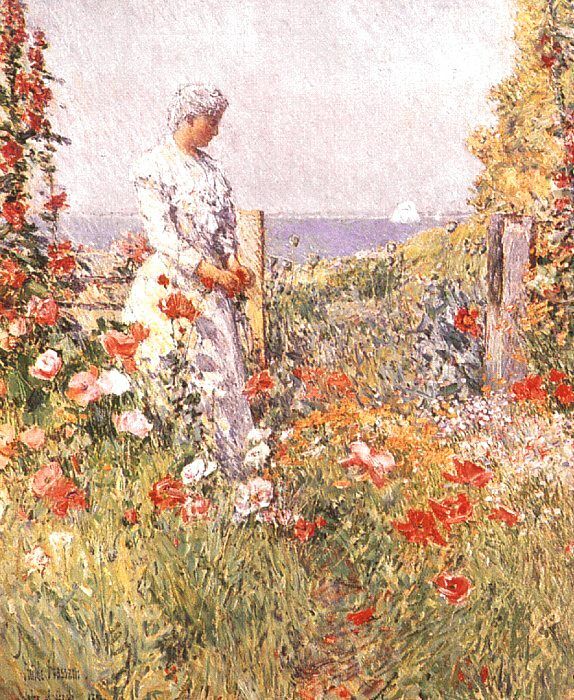 I was brought here to walk among the roses as a child, and as a young mother I brought my own young children here. It was always an inexpensive way to enjoy a night out… a walk through the park and a trip to get ice cream on the way home. Next to the rose garden is a wooded area where we followed a pathway and the children tried to balance their way across the creek on an old large sized pipe- the same one I had carefully traced in my youth. It leads back to the parking lot where we ended our pleasant outing. Now the last of children are teens and we come on a summer evening to take our digital photos , and each time to have witnessed an outdoor wedding through the veil of the fountain. May their future have as many good memories of this lovely city rose garden as ours has. 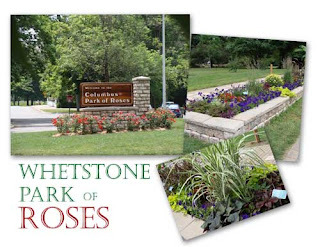 The Columbus Park of Roses is one of 133 AARS-approved public display gardens in the United States. During World War II, more than 500 Victory Gardens were planted in the park. The American Rose Society headquarters were located at the Columbus Park of Roses from 1952 to 1970. Located within the Columbus community of Clintonville. 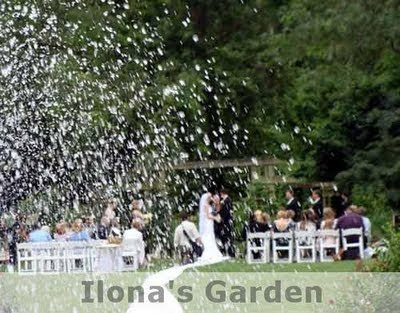 Be sure to see Park of Roses, Gardens in Ohio and A Botanical Wedding. 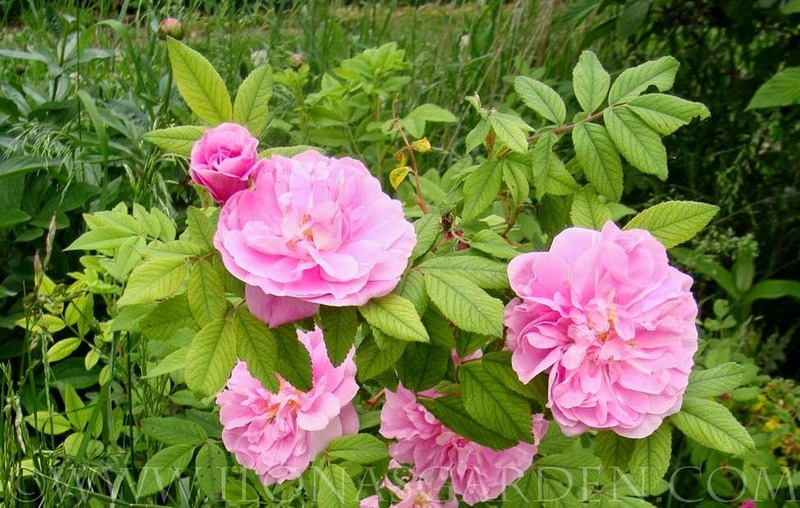 While perusing old garden links I came upon this page of rose advice. 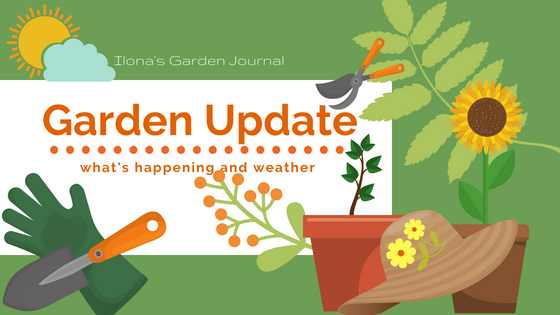 While spring is a better time for planting roses in this part of the country, advice is welcome at any time, and you might live in a climate where fall planting is fine for roses. (Figure 1) Lift out enough soil to allow roots to spread naturally in the hole (1 foot deep and 2 feet in diameter). Add 3 cups of Witherspoon Planting Essentials* per bush if you did not previously add it during soil preparation. Mix well. Form an inverted cone of your soil mixture in the center of the hole. (Figure 2) Set the plant so that the roots rest down the sides of the cone. The graft knob should be slightly above the ground level. (Figure 3) Replace the soil and pack carefully around the roots eliminating air pockets under the roots. (Figure 4) Leave a slight basin around the plant and water using 3 to 5 gallons per plant. Finish filling the hole with soil. (Figure 5) Finally, mound soil or shredded mulch to the top of the plant and leave until danger of freezing is past. (This is usually around the third week of April in the Piedmont area of North Carolina.) This prevents the canes from drying out or freezing until the root action begins. 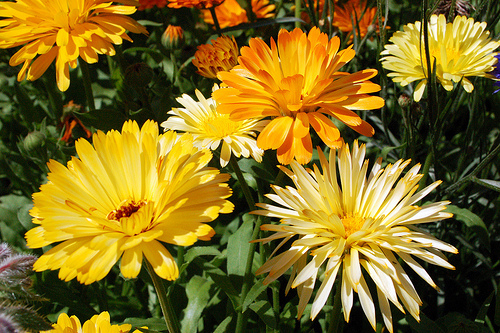 If planting after danger of frost, mound plants for 3 to 4 weeks to ensure a good start. “combination of Bone Meal, Lime & Gypsum”. That might do for an East coast garden with its more acid conditions, but I would be careful of adding extra lime to a soil that is already quite alkaline. The gypsum loosens up clay soils, and the bone meal is a long lasting fertilizer that is good for a healthy root system.